KAMPALA – Rwandan officials making public statements on the ongoing border tensions should be careful because they have property in Uganda, government spokesman Ofwono Opondo has said. He told NTV that there were Rwandan officials, particularly State Minister for East African affairs Olivier Nduhungirehe who are attacking Ugandan officials who have made several Twitter posts, some specifically responding to Opondo. In social media post, Mr. Nduhungirehe described as “factually and demonstrably incorrect” some of the allegations made by Mr. Opondo at a media briefing in Kampala, which was being relayed live on Twitter by his office. 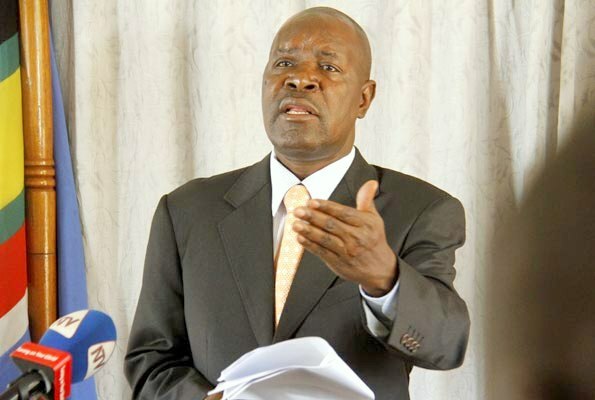 Mr. Opondo also said all allegations Rwanda is making against Uganda are “not true” – a reason why they have not been reported to the East African Community, a regional grouping of six neighbors. Rwanda accuses Uganda of arming and financing Rwandans dissidents in Uganda and facilitating their leaders in South Africa. Rwanda also accuses Uganda is actively providing considerable backing to Rwandan FDLR rebels in DR Congo – whose members participated in the 1994 genocide against Tutsis, an allegation entirely dismissed by Uganda. Rwanda claims FDLR spokesman and intelligence chief were arrested on DRC-Uganda border as they returned from meetings in Kampala with high-level Ugandan officials. Uganda, according to Kigali, has arrested dozens of Rwandans currently detained illegally. They are ‘arrested, harassed, tortured, incarcerated without consular access, and some deported’, says Rwanda.